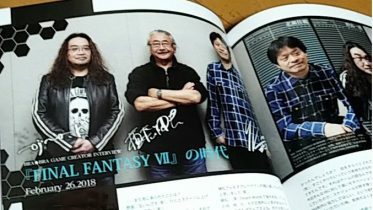 This archive is an effort to preserve as much as possible from the now defunct online mode of Dirge of Cerberus: Final Fantasy VII and to make it available for English reading audiences. Selected beta testers were able to play the online mode from September 22 – October 31 in 2005, while the retail version of the Multiplayer was available from January 26 – September 29 in 2006. In both periods the game was hosted on PlayOnline: Square’s online gaming service. At the time of writing, there is no sign of Square Enix publishing any sort of postmortem Dirge of Cerberus Multiplayer guide, resurrecting the online mode or adapting it into a Single Player campaign. That’s why this archive exists. Let’s perform a Synaptic Net Dive for an archeological dig of the digital kind! The project is at its early stages and will most definitely see multiple expansions. Enjoy what there is and look forward to more! If you have anything that you’d like to add to this archive, you can let us know via the appropriate forum thread. You can start the journey either by following the links below or by reading the foreword further down. We await your donations to help pay our translators! 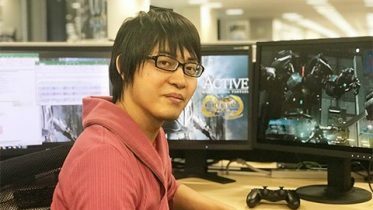 On the midnight of September 29 in 2006, the servers for the DCFFVII Multiplayer were taken down. There is no cartridge, no disc, no digital copy to boot up the game and explore its contents. Only by compiling the video footage, screenshots, guides, blogs, official reports etc can we artifically transport ourselves into the player seat. The game’s deadness is the most fundamental challenge we face. Luck has it that not all data was exclusive to the servers dedicated to the Multiplayer. 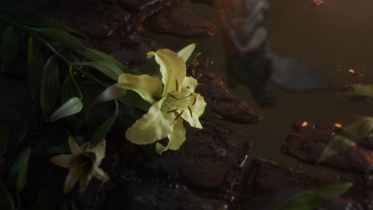 When you explore the data of the Dirge of Cerberus game disc you will find items, sound clips and zones that are distinctly from and for the Multiplayer. These exciting discoveries are included in this archive. At this stage there is almost certainly even more to be found, but further digging is prevented by many of the disc’s file formats being unknown and currently impossible to unpack. The hidden data on the disc represents a variety of stages the online mode went through. The uncovered equipment and quest items reflect the beta testing phase, while available maps and 3D models reflect the later 2006 era. 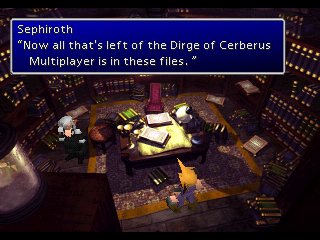 We should not expect to find the full launch version of the Multiplayer contained in any version of Dirge of Cerberus. Because online games face multiple version updates, ranging from greater overhauls to minor bug fixes, every report on the game and indeed every screenshot from the game are just that: A freeze-frame of what the game was like at that particular time. 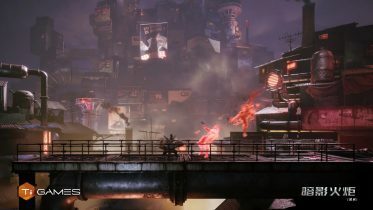 The timeline we can construct for how the Multiplayer changed from its earliest stages to its final hours is quite comprehensive, but holes in the reconstruction are inevitable and not even the official PlayOnline version update reports divulge every tiny detail that was changed in the game. A central challenge that can be overcome, but that will definitely require heaps of assistance, is that almost all material retaining to the Multiplayer is in Japanese. Apart from many NPC names already being in English, and some of the unused game data already having been officially localized into English, there are pages and pages of Japanese writing that must be translated in order for this archive to be complete for an English reading audience. Finding the people who played this Japan-exclusive title is also of great interest. Any data these people have to provide, be they screenshots, videos or even just personal notes, would be a tremendous contribution. Of course this requires that the language barrier is removed and that somebody fluent in the language makes contact with these former players…if at all we can find them, that is. 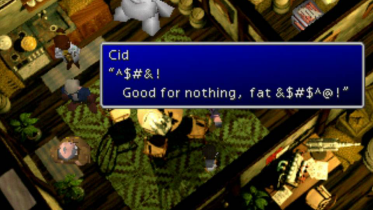 With most DCFFVII Multiplayer blogs no contact info is provided. I wish to express my immense gratitude to everyone who has followed my work and continue to support to it. In particular I want to thank Squall_of_SeeD who has never stopped supporting my Dirge of Cerberus endeavors. Without him it is possible that my passion to create this archive never would have blossomed. S&G, author of the Unofficial FFVII Novelization, gets a special thanks for continuously sharing my work to the facebook masses. His decade-old research documents on the DCFFVII Multiplayer are also what in fact kickstarted this entire archiving project. Further inspiration came from the TLS article written by S&G, The Darkness of Shinra – Deepground’s History Revealed. Grimoire Valentine, manager of FFVIIExcavation, who it would be criminal not to mention because of how long he has pioneered the preservation of esoteric and elusive Compilation material. Long before I felt the slightest interest in Dirge of Cerberus, he preserved media that would have been lost otherwise. Suzaku, who provided precious archived material which no longer existed online. Joel, for his awesome work in translating all the text related to the online missions. mecorx, for her translations of the NPC material, Medals, Online Soldier Voice Clips and miscellaneous material. hito & Squall_of_SeeD, for their translation aid in multiple sections of this archive. Everyone who follows and supports my work. Thank you. Plenty of sites about the DCFFVII Multiplayer no longer exist or have had their contents about the online mode removed. The Internet Archive: Wayback Machine has fortunately saved a considerable number of these sources. The full reference below will thusly include links to some pages that now only exist in an archived format in the Wayback Machine. 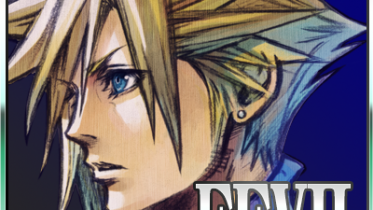 Thanks to the Wayback Machine often saving the same page repeatedly it is also possible to establish a revision timeline for the page/site, thus contributing even further to the timeline that we try to establish here with the DCFFVII Multiplayer Archives. Full reference to documents and sites below.